When I received those Le Creuset mini cocottes, I said I would be going crazy writing recipes just to use them, and, yes, it has begun. 1. Set cocottes on a rimmed baking sheet and place in oven; preheat oven to 450°F. While oven is heating, melt oil in a small skillet, add potatoes and cook over medium-high heat, covered, for about 4 minutes, or until brown on one side. Reduce heat to medium-low, turn potatoes, push to one side of the skillet, and add spinach to the other side. Cook, uncovered, until spinach is wilted, about 2 minutes. 2. Whisk together egg, 2 Tbsp cheese, milk, ham, salt, and pepper. When spinach is cooked, stir it into the egg mixture. 3. Remove heated dishes from the oven and coat with cooking spray. Spoon half of the potatoes into the bottom of each cocotte, and immediately pour in egg mixture, topping with remaining cheese. Bake until frittata is puffed up and golden, about 15 minutes. Robyn's notes: these came out quite small, which is fine as long as they're served alongside some fresh fruit or whatever is preferred. I do not recommend increasing the amount of egg. Every time I've tried to do so, the outside has cooked through, but as soon as it's pierced with a fork the center is discovered to be raw liquid egg. I end up having to stir the top inch and cook, stir and cook, for another 6-8 minutes, which overcooks the sides and makes the cheese flavour disappear. 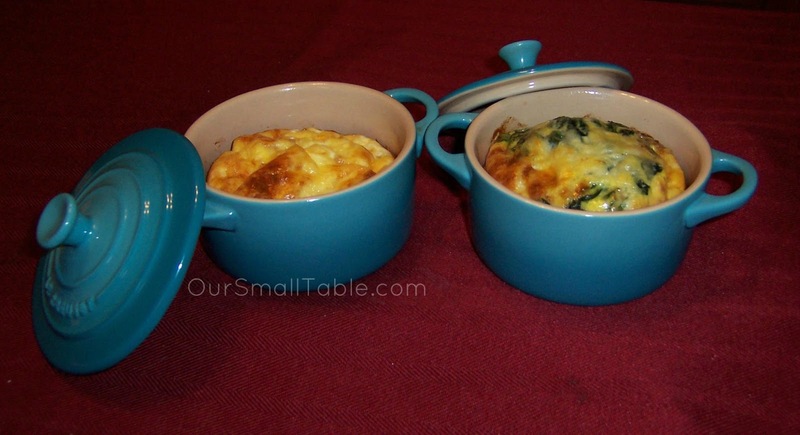 For those without cocottes, ramekins or individual casserole dishes should work fine. I can't eat spinach, so mine is the one on the left in the picture above, I just poured in my part of the egg mixture before stirring in the spinach. I always keep a bag of these potatoes in the freezer, to use when I'm making breakfast burritos, and the brand and style I use (Ore-Ida) is gluten-free. 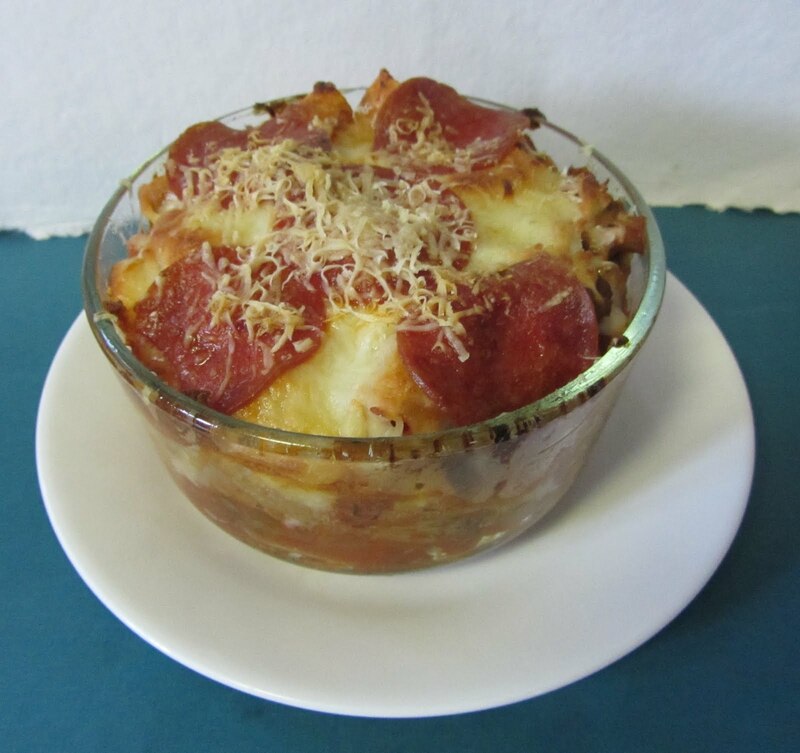 An additional option for those who are able to eat such things is to use either the hash brown potatoes with peppers and onions, or to add a little diced shallot/onion and pepper when cooking the potatoes. These were good. Moist and tasty, and easy to add things to if desired.